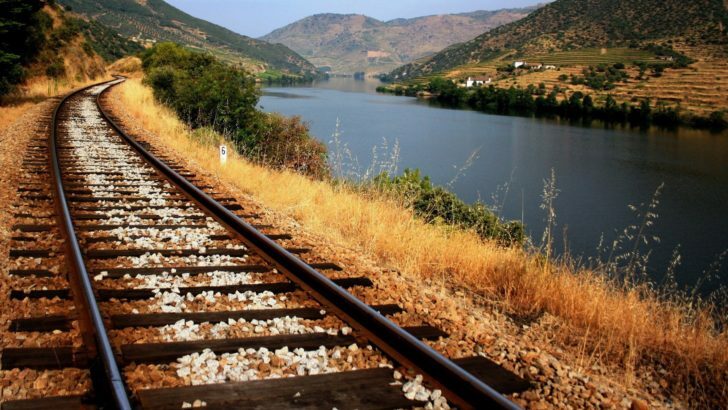 Today, trains are one of the most important parts of transportation, which sometimes makes the only way to get to some areas, especially when it comes to traveling to the countryside. Trains can cover great distances and serve to connect almost all corners of the country. Plus, it’s a budget-friendly transport affordable to almost everyone. Also, traveling in a train is an amazing experience in itself. You get to witness some stunning views of nature, sprawling fields, cities with people, and much more on the way. But did you ever notice the stones which are lying alongside the railway tracks? 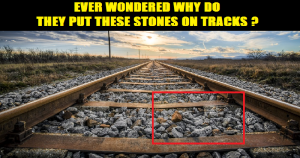 Have you ever wondered why these stones are placed in between railway tracks? This is really a good scientific question with an interesting answer. Here is the reason why there are crushed stones between the railway tracks? 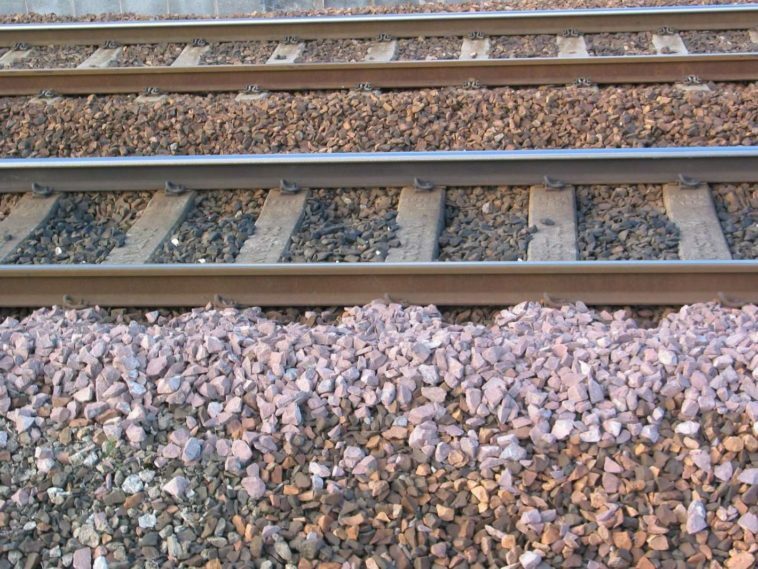 To start with, the crushed stones that are present alongside the railway tracks are collectively known as Track ballast. Track ballast is packed between the sleepers, in the areas below, and on the sides of railway tracks. It basically forms the trackbed on which the railway sleepers are kept. 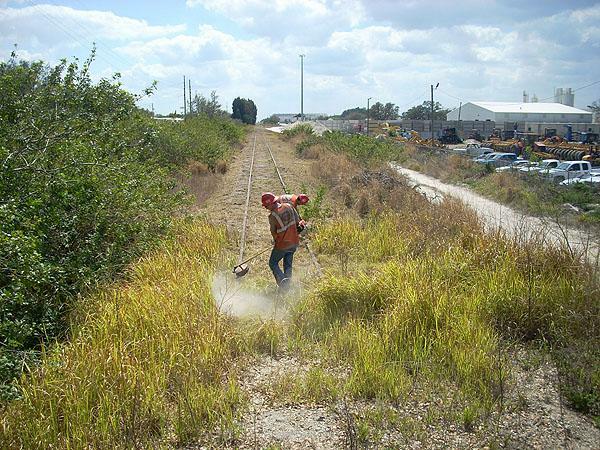 The railway tracks are made up of steel and are supported by wooden ties (used previously) or concrete rectangular slabs which are known as Sleepers. A railway sleeper is a rectangular support that is usually kept perpendicular to the tracks. 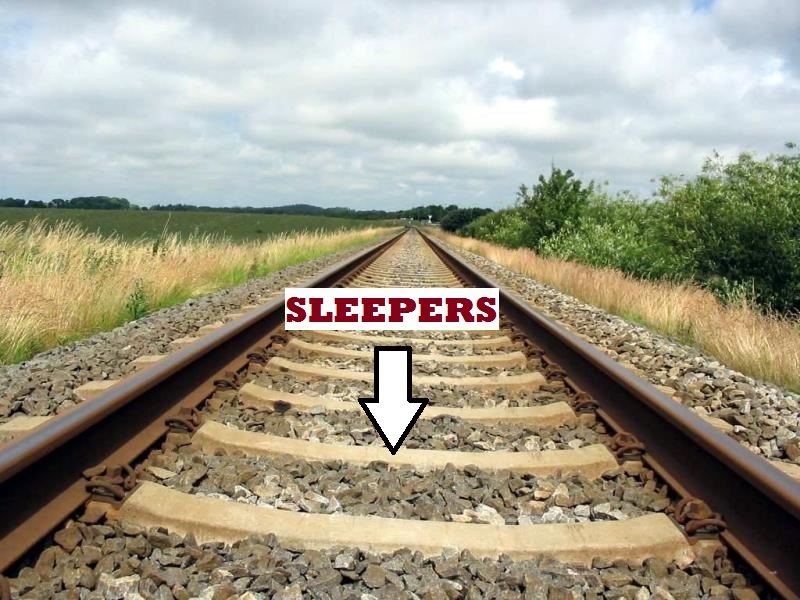 Sleepers are also known by other names like cross-tie, railroad tie and these are used to a greater extent presently. 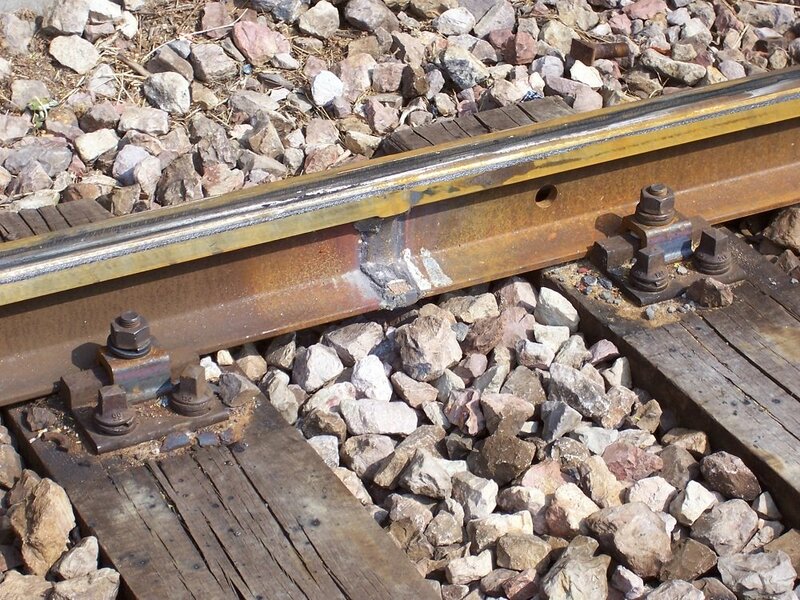 The main purpose of the ballast is to hold the wooden cross ties in place, which helps to hold the rails in place. Railway tracks are normally subjected to heat expansion and contraction, high-speed movement of trains with heavy loads, vibrations etc. Tracks should withstand all these factors for a safer journey. 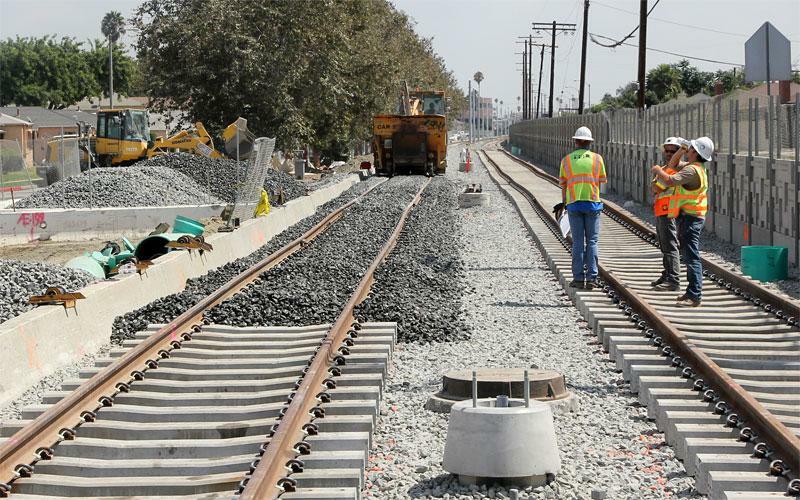 In order to do this, crushed stones are placed between the sleepers (or wooden-tie) and also around the tracks. The crushed stones are capable of keeping the wooden sleepers in place and they will, in turn, hold the railway tracks firmly. The stones should not be smooth because they may slide over each other when the train is passing over it. So, stones with rough edges are used. The ballast distributes the load across the foundation, thus allowing ground movement, thermal expansion, and weight variance. 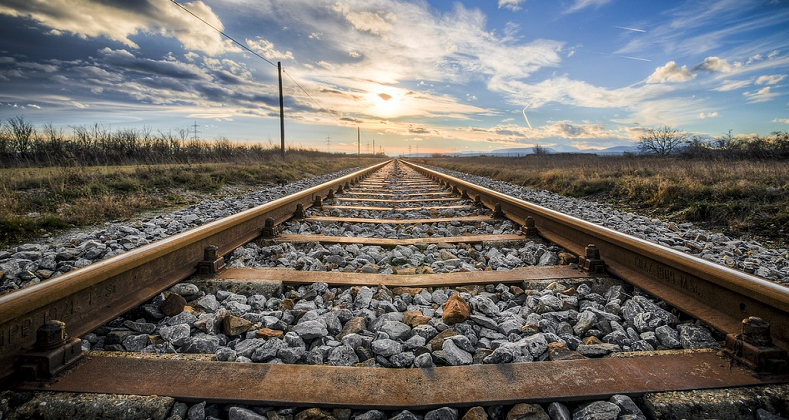 Crushed stones also serve other purposes like – draining of water beneath and around the tracks, stopping the plant growth to a certain extent and more importantly, holding the tracks firmly even in the case of super heavy trains. So, now you know why there are rocks on the train tracks, you can share this newfound knowledge with people the next time you’re on a train!